The Grey Lodge Pub, at 6235 Frankford Ave., in Mayfair, is one of Philadelphia's original craft beer bars. The pub's owner Mike Scotese is starting Lucky Cat Brewing just a few doors down from the bar. It is expected to begin brewing by June 2019. A new brewery concept is headed for Mayfair from Mike Scotese, owner of the neighborhood's 22-year-old mainstay Grey Lodge Pub. 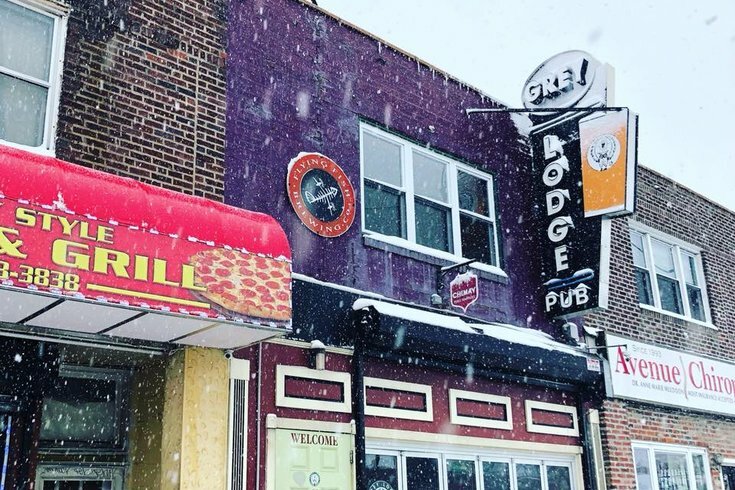 The upcoming space, Lucky Cat Brewing Co., will open just two doors down from the Grey Lodge, at 6245 Frankford Ave. Philly Beer World reported the small brewery will serve solely to create brews for the pub. Though there are a couple dozen fermenting facilities within Philadelphia, including newer additions such as Love City Brewing and Evil Genius Beer Company, Lucky Cat will be the city's first in Northeast Philly. The shift toward microbrewing, Scotese told Billy Penn, is reflective of the larger trend in beer drinking and a growing preference among beer lovers for breweries and tasting rooms. Scotese currently predicts a small, three-barrel setup for his brewery. Billy Penn reported the brewery will have a tasting room, as well, but it's not likely to be part of Lucky Cat's initial opening. A new black box theater, reportedly under development by the Mayfair Business Improvement District, could soon be sandwiched between Grey Lodge and Lucky Cat. Scotese currently plans to open Lucky Cat and begin brewing by June 2019.